This beautiful Poinsettia Flower is symbolic of the Christmas holidays, and a crochet poinsettia makes a perfect addition to seasonal decor. For today’s project we will make the Poinsettia Flower in a motif shape. This pretty flowers is worked in one color. It is crocheted in the round starting in the center and working outward from there. This is an intermediate crochet project that works up quickly. 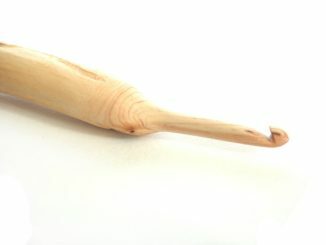 Crochet Hook Size: To crochet the flower, we used a size I.25 mm steel crochet hook. The flower measures about 2.0 inches in diameter. Flower sizes will vary based on supplies used and other factors. Unlike most crochet patterns, this pattern has no gauge, no thread requirement and no hook sizes. That’s because you can vary the size and appearance of each motif to fit the needs of your project. If the motif is for a bedspread, you could choose size 5 cotton thread and an appropriate hook, the same motif could be made with size 10 cotton thread and a similar hook for a doily. When choosing the thread and hook for your project experiment with a variety of threads to achieve the appearance and texture that pleases you. Double Crochet 2 together (dc2tog) – [yo, insert hook in next st, yo, draw yarn through st, yo, draw yarn through 2 loops on hook] twice yo, draw yarn through 3 loops on hook. Double Crochet 5 together (dc5tog) – [yo, insert hook in next st, yo, draw yarn through st, yo, draw yarn through st, yo, draw yarn through 2 loops on hook] 5 times, yo, draw trough 6 loops on hook. Ch 6, join with a sl st to form a ring. Ch 3 (count as dc here and throughout), 15 dc in ring, join with a sl st in 3rd ch of beg ch-3 (16 dc). Ch 4 (count as dc, ch 1 here and throughout),* 5 dc in next dc ch1**, 1 dc in next dc, ch 1 rep from * 6 times rep from *to** once join with a sl st in 3rd ch of beg ch-4 (12 ch-1 sps). Ch 4, 1 dc in first st, * ch1, 2 dc in each of next 5 dc, ch 1**, (1 dc, ch 1, 1 dc) in next dc, ch 1, rep from * 6 times, rep from * to ** once, join with a sl st in 3rd ch of beg ch-4 (24 ch-1 sps). Ch 3, 1 dc in first st, ch 1, 2 dc in next dc, ch 1 *(dc2tog in next 2 sts) 5 times, ch 1**, (2 dc in next dc, ch 1) twice rep from *6 times rep from * to ** once, join with a sl st in 3rd ch of beg ch-3 (24 ch-1 sps). Ch 4, (1dc, ch 1) in each of next 3 dc, *dc5tog worked across, next 5 sts, ch 1**, (1dc ch 1) in each of next 4 dc rep from *6 times rep from * to ** once, join with a sl st in 3rd ch of beg ch-4 (40 ch-1 sps). Fasten off; use the Tapestry needle to weave the ends. What Can You Do With the Poinsettia Flower Motif? 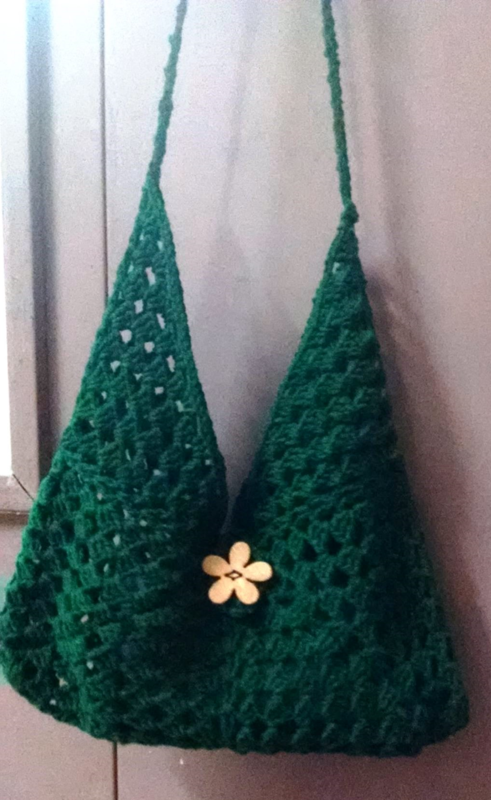 · Attach it to a hat, headband or ear warmer. 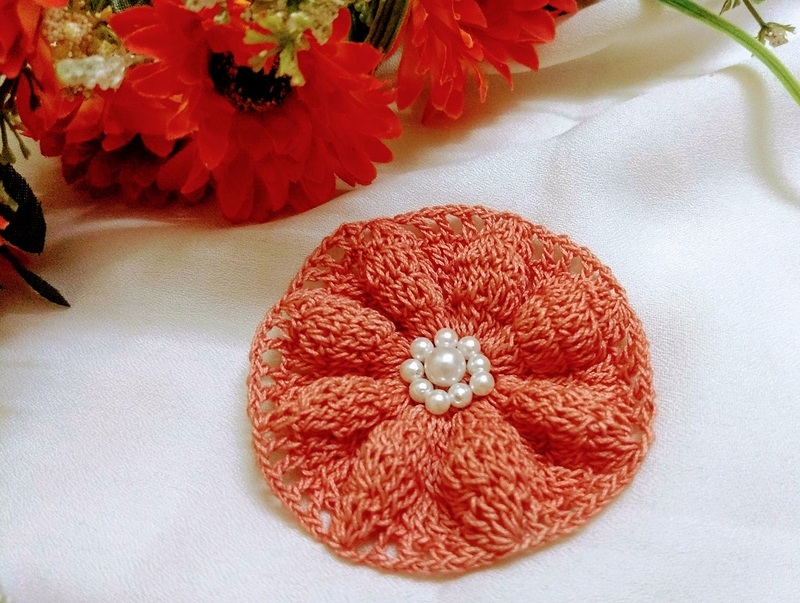 · Use one (or several) on any item where you’d like to have a pretty crocheted applique. For example, you could sew a flower to your favorite sweatshirt. · Use it to embellish a heart pouch or similar project. 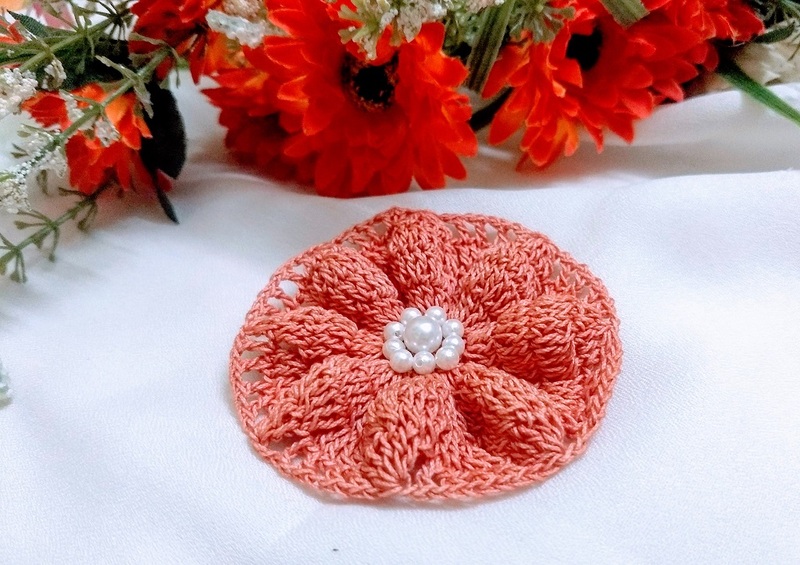 · If you crochet the flower using fine crochet thread, you could use it as an accent on scrapbooking layouts or mini album pages. The thicker yarn version of this flower could also be used on mini album covers, where the dimension would not be a problem. 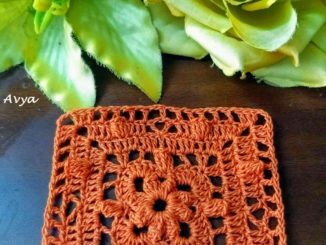 · Make use of thick yarn and convert the pattern to make pretty coasters. · Decorate your gifts using these flowers as Gift Topper. · These are just a few ideas. We are sure you can dream up many others!